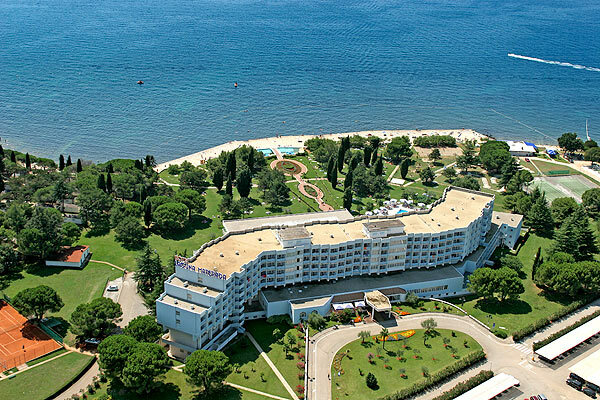 Hotel Laguna Materada is surrounded by a crystal clear sea and lush pine forests, located just 3 km north from the beautiful historical town of Porec. 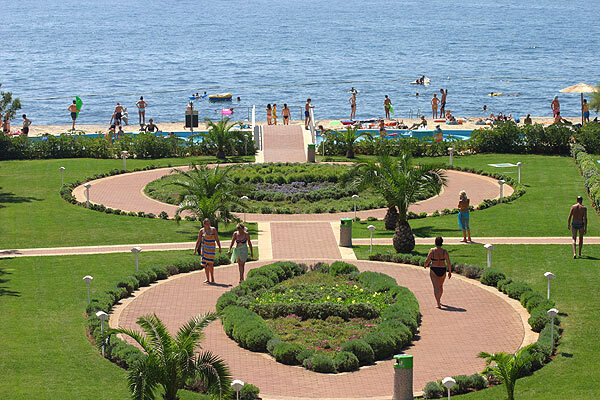 The sunbathing lawns and parks around the hotel provide a peaceful and safe environment where the whole family can rest and enjoy a well deserved holiday. There are plenty of natural beaches nearby but if you prefer to swim or sunbathe near the hotel then you can enjoy the comfort of sun beds, umbrellas and showers. The sea and beaches in the area have been awarded the international Blue Flag for their excellent quality. The charming town of Porec also has a lot to offer its visitors; beautiful old cobble stone streets, enchanting old squares, centuries old monuments, museums and galleries and of course a rich offer of restaurants, cafés, bars and night clubs. 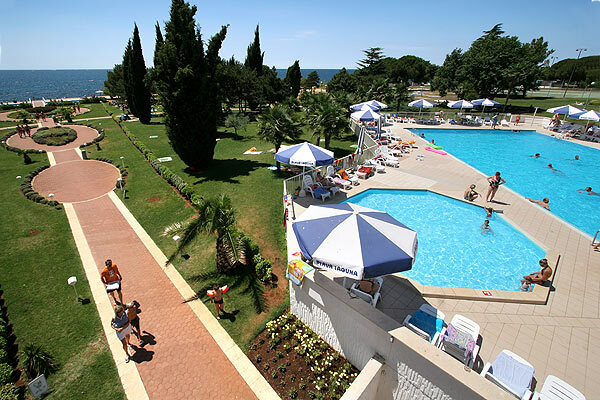 Porec is also famous for its many (water)sport facilities, including tennis, golf, mini golf, scuba diving, water skiing and much more. The variety of activities available in and around Porec makes this area a perfect holiday destination for families, couples, youth, adventure seekers, and nature and culture lovers. 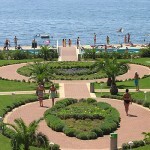 This popular coastal resort has won many national tourism awards for its outstanding quality. 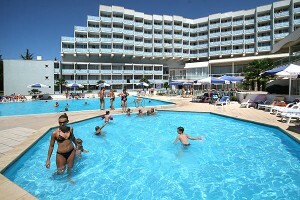 Hotel Laguna Materada offers 400 air conditioned rooms with telephone, satellite TV, bathroom with shower and hairdryer. A fridge is available at an additional charge. The rooms have park side or sea side views but not all rooms have a balcony. Suites with a bedroom and living room are also available. 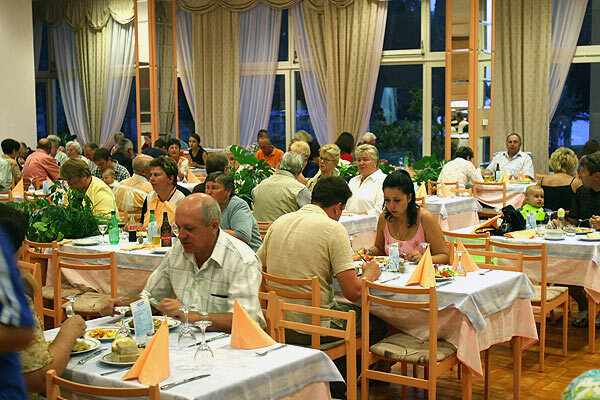 The fully air conditioned Hotel Laguna Materada has a restaurant that offers a breakfast and a dinner buffet and guests who book half board enjoy free drinks with dinner. The hotel has a beauty parlour with solarium and offers massages, physiotherapy and there is a hairdresser. Wi-Fi internet access is available at an additional charge at the reception and in the bar. 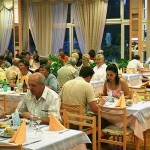 There is a TV room, an exchange office, souvenir shop and newsstand and a safe can be rented at the reception. Private parking is available at an additional charge. 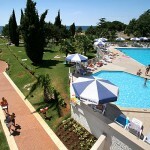 The outdoor fresh water swimming pool has a pool bar, a children’s area and there is a children’s playground nearby. A mini-club and mini-disco are available for the little ones while their parents relax or enjoy the hotel’s (water)sports facilities such as tennis, table tennis, mini golf, volley ball, bicycle rental or pedal boats. Hotel Laguna Materada also organises sports tournaments (such as volleyball and football) and each morning guests can join the gym workout or aqua aerobic lessons. During the evening you can enjoy a drink while watching a show or listening to live music. 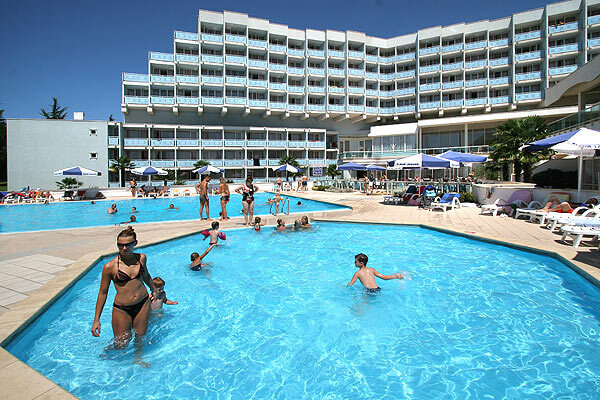 The hotel is child friendly but not all areas are easy to access with a pram or buggy and access to the sea right in front of the hotel is via pool ladders, which may not be very suitable for young children. 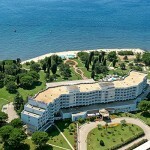 Excursions to popular destinations in Istria, such as Pula, can be booked at the hotel.